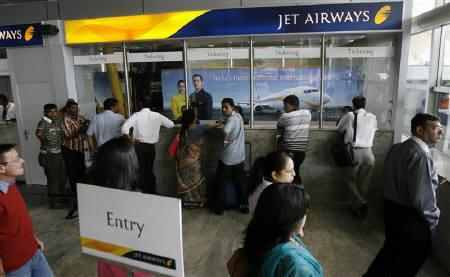 Rediff.com » Business » What lies ahead for Jet Airways? 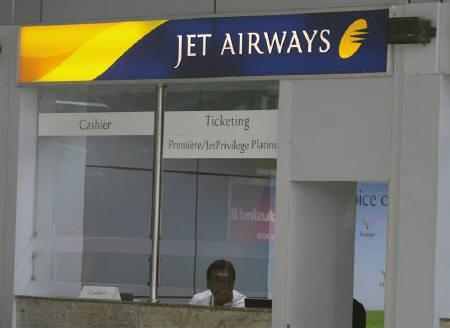 What lies ahead for Jet Airways? 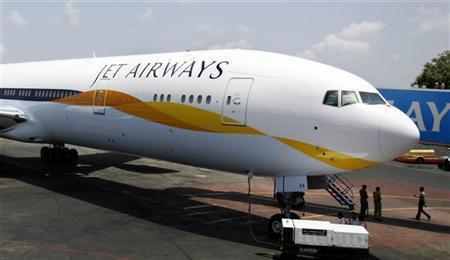 The hike in fuel prices on August 16 saw the Jet Airways (India) stock shed five per cent last week. While the stock has recouped some of the losses on hopes that the improved June quarter performance will continue and its pricing power will hold, analysts and wealth managers aren't convinced. "It is doubtful whether the profits reported in the June quarter will be sustained given that there is no visibility for the business. Unless there is further consolidation and a handle on fuel prices (up 10 per cent over the past month) which is the key input, companies will come under pressure. We have advised our clients to stay away from this space," says Manish Sonthalia, vice-president and fund manager, Motilal Oswal Asset Management Co Ltd. While airline companies have shown improvement by rationalising costs, Jet's fortunes hinge on how competition reacts to the falling demand and higher fuel costs. Edelweiss Securities analysts Sachin Gupta and Ashish Gupta who have a mixed outlook on the sector say: "Past experience leads us to be pessimistic on continuation of industry discipline. Economic slowdown has started to reflect in traffic growth, which poses a question mark on continuous yield improvement assumption." What is also spoiling the show for Jet is the weak rupee and its continuing high debt, which remains a key overhang on the stock. The scrip, currently at Rs 395, is trading at seven to eight times its FY13 estimated value to estimated Ebitda (earnings before interest, taxes, depreciation and amortisation). In this backdrop and given the stock's outperformance (more than doubled in 2012; it is up 11 per cent in August against Sensex's 3.8 per cent rise), could lag broader markets, going forward. Passenger demand for the first four months of the financial year is down two per cent year-on-year largely due to the fall in June (four per cent) and July (eight per cent). Given the high ticket prices and a slowing economy, analysts are revising their FY13 estimates. "Higher ticket prices and a decelerating economy could snowball into a steep fall in passenger travel," says an analyst. Thus, passenger volume growth, which was between 15-20 per cent in FY10-FY12 and averaged 17 per cent over the last 10 years, is likely to be flattish or record a fall in the current fiscal. While the issues facing Kingfisher Airlines and Air India do give Jet a breather, falling demand would force it to either drop prices or lose market share, going forward. 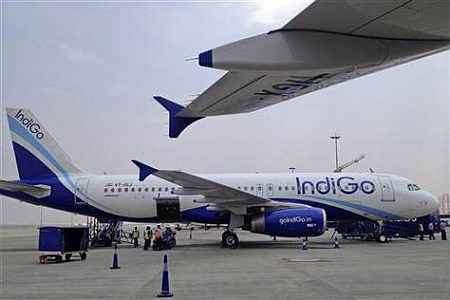 Among the recent developments, Indigo (unlisted) went ahead of Jet to become the largest domestic carrier in July with a market share of 27 per cent, compared to Jet's 26.6 per cent. Given Indigo's expansion plans and Jet's focus on profitability and improving its yield, the younger carrier (Indigo) is likely to maintain its lead over the next couple of months. 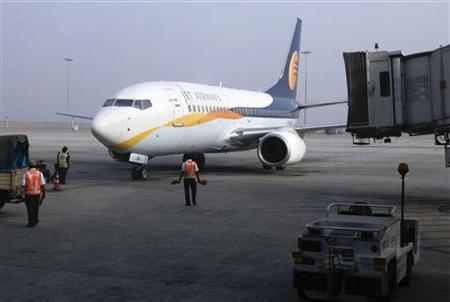 However, analysts believe Jet is likely to regain its pole position in the December quarter as rising passenger traffic in a seasonally strong quarter feed into its domestic network. Higher profitability: Can it last? Aided by a scaling down of Kingfisher operations which helped boost load factors (for Jet and others), higher yields and tight control on costs helped the company post a net profit after five successive quarters of losses. SpiceJet, too, has witnessed a similar trend. 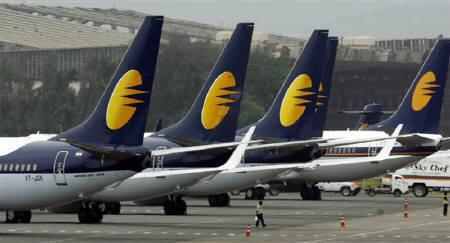 Thus, while Jet's revenues increased 31 per cent, expenditure grew 20 per cent, improving margins from 9.8 per cent in the year-ago quarter to 16 per cent in latest quarter. While the performance is much above expectations, Mahantesh Sabarad and Vijay Nara of Fortune Research say cost reductions achieved may not last, making it difficult to sustain margins as other increases like airport charges set in. The company, too, believes margin pressures are likely to stay. In a recent investor conference call, the company's chief commercial officer, Sudheer Raghavan, had said high crude prices, rupee depreciation and a slowdown in the economy will impact its operating margins in the short-term. On the debt front, the company plans to reduce its borrowings, which currently stands at Rs 13,500 crore (Rs 135 billion), by Rs 2,200 crore (Rs 22 billion). However, Fortune Research analysts feel the company may just cross half that mark and advocate caution on that count. 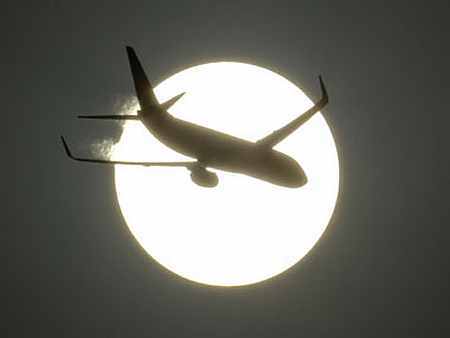 Which is India's LARGEST airline?